If you follow me over on instagram- if you don't, then why not?! No, I'm joking, you're basically not missing out on much other than countless food snaps- anyway, what I was going to say was you'll probably realise that I've been taking full advantage of the beautiful weather recently. I know, nice weather in June, what is this absolute madness?! ...Yep, you've guessed it, if it involves sun, alcohol, and food, then count me the heck in. 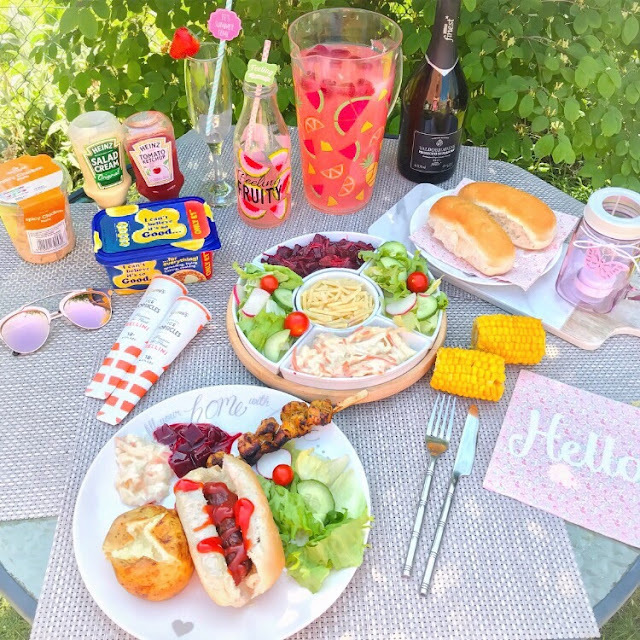 Which brings me onto today's blogpost as I really didn't want you to miss out on all of the summer fun and thought that it was only right that I shared my my guide to planning and throwing the ultimate summer evening. I'm definitely having a moment with party planning, please forgive me. 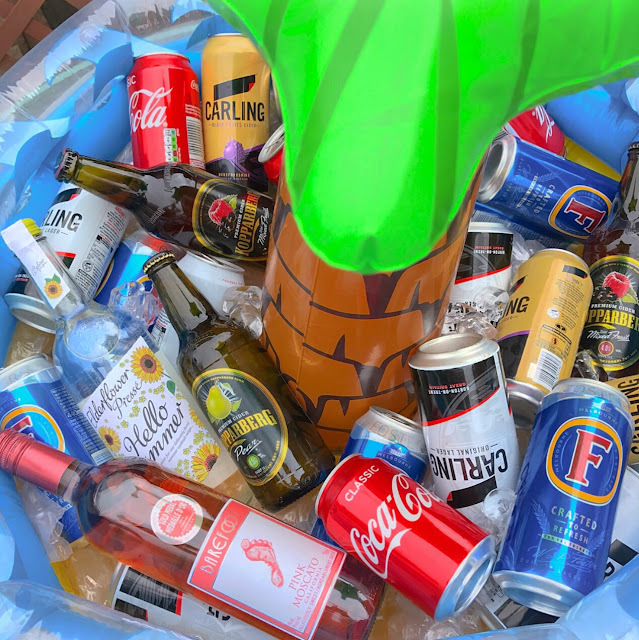 First up, you're going to want to plan what kind of afternoon/evening you want... do you want a slightly more relaxed one chilling with family, or do you fancy yourself as a bit of a cocktail connoisseur, who will no doubt be dancing around to 90's throwbacks approximately two hours after that first sip of wine? .... guilty! I'll plan an event for both occasions, so just go ahead and choose accordingly! You've had a stressful week, you're exhausted and all that you want to do is relax, spend quality time with your family/friends and put your feet up ... there's only one thing for it; sunshine and food. And lots of it. 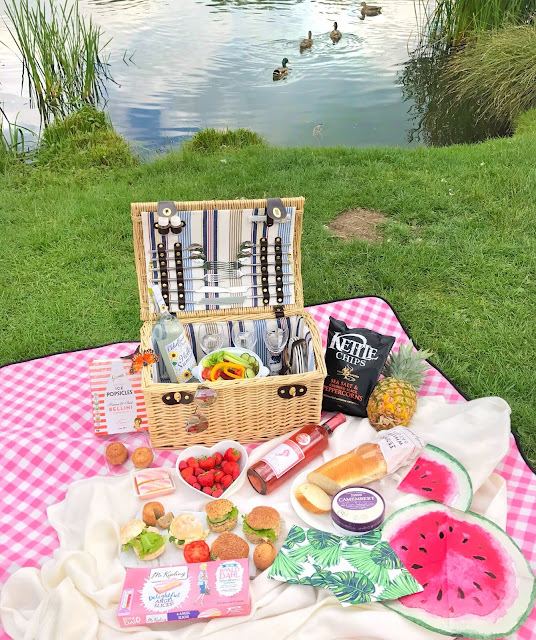 Suggestion 1: A picnic in the park/besides a lake/your own garden if you aren't feeling very adventurous- aka the perfect family afternoon. 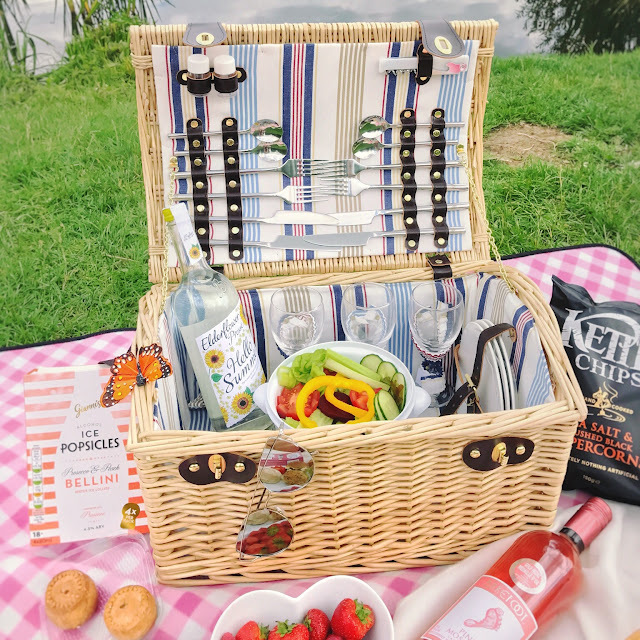 Blanket laid out, 'Greenfield Oxford Willow Picnic Hamper' (available from Amazon #NowItsSummer store) raring to go, drinks on ice = tick- now the only thing left on the list to sort out is the fresh fruit and crisps. Think wine, sarnies- bought ready made on the way to the park if you're feeling a little lazy, obvs- and camembert which, lets be honest doesn't quite live up to an entire cheeseboard, but hey, we'll roll with it. Any guesses as to why this particular hamper happens to be my favourite?! It holds four wine glasses and a bottle opener;) duh. So more the merrier when it comes to inviting people along. You aren't quite feeling a full on night 'out out' that consists of impatient waits for taxis, and fake eyelashes hanging off your chin by the end of the night, but you definitely don't plan on sitting in front of the tv with a cuppa either. So this calls for a girls night in, full of allll of the wine, cocktails and bad singing at 2am in the garden- don't you just love how wine gives you enough confidence to think that you maybe ought to apply for Xfactor, and start a dance career... or maybe not. Suggestion 1: A BBQ garden party- because well, burgers and cider in the garden at 10pm is always the answer. This is the perfect plan if you fancy having a drink... or three, because we all know that at least 80% of people just love burgers and a good old knees up in the garden, plus all of the best stories are told after a few cocktails have been consumed. Give me the chance to plan a huge BBQ, and you don't have to ask me twice. Girl, I'm in. 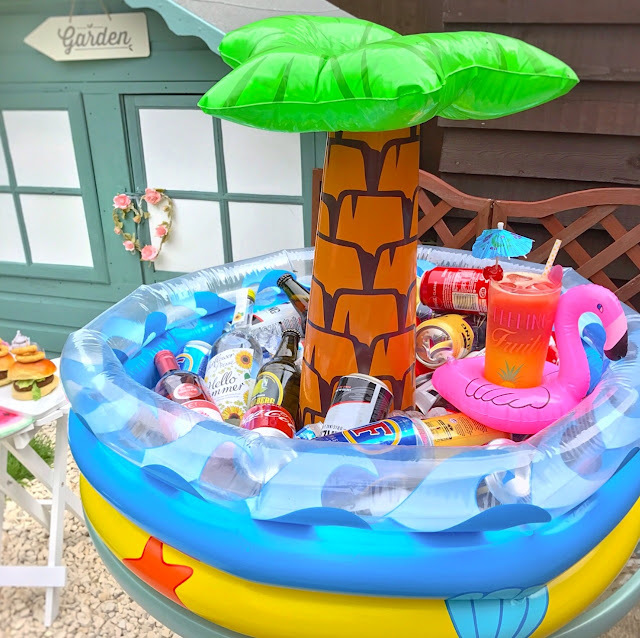 Light the BBQ, stock up on your favourite drinks, and if you really want something to impress your friends with definitely consider a quirky drinks cooler like the 'Amscan Inflatable Cooler Tropical Palm Hawaiian' (again available from Amazon #NowItsSummer range). 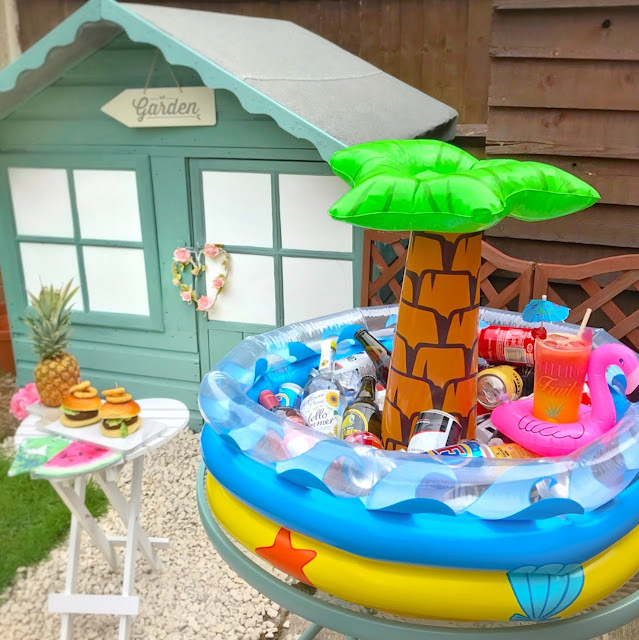 Oh, and if you're a fan of throwing parties like myself, I'd suggest setting up all of the food/drinks out on the side so that you can all get stuck in buffet style. PS: BBQ's make for the best instagram snaps... just saying. Suggestion 2: Pimp your prosecco - if you want to pretend that you're that bit classier, and swankier than you actually really are. This is the absolute one if you plan on turning the music up and pulling out your very best dance moves, your friends will totally think that you're the best friend ever hosting an evening purely dedicated to dancing and prosecco. 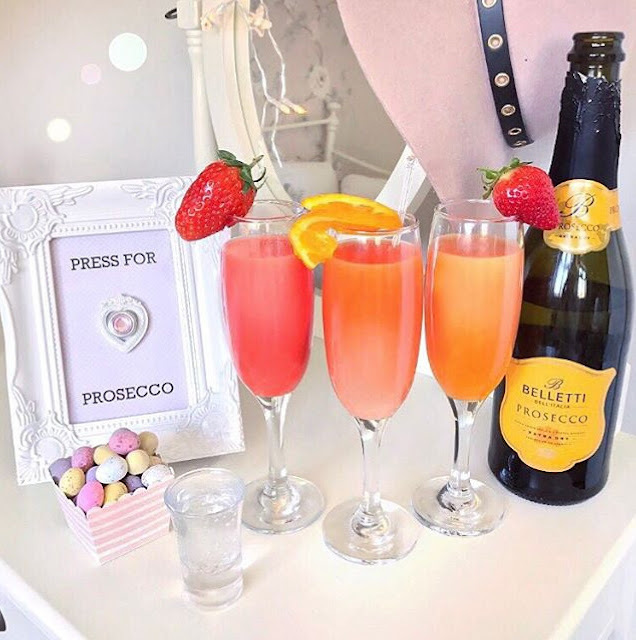 Simply stock up on lots of Prosecco, strawberries, raspberries/all of your favourite fruits and pimp your drink to your tasting. *Sidenote: now is the perfect time to blast out those throwback 90's club anthems... so baby if you want me, you've got to show me loveeee. So there we have it, summer suggestions catered exactly to your needs. Whether you're planning on a quiet one, or a slightly more wild one, I hope that you have a lovely weekend whichever you choose... oh, and don't forget to tag me in your antics over on instagram (@itslittlelauren) I'd absolutely love to see. 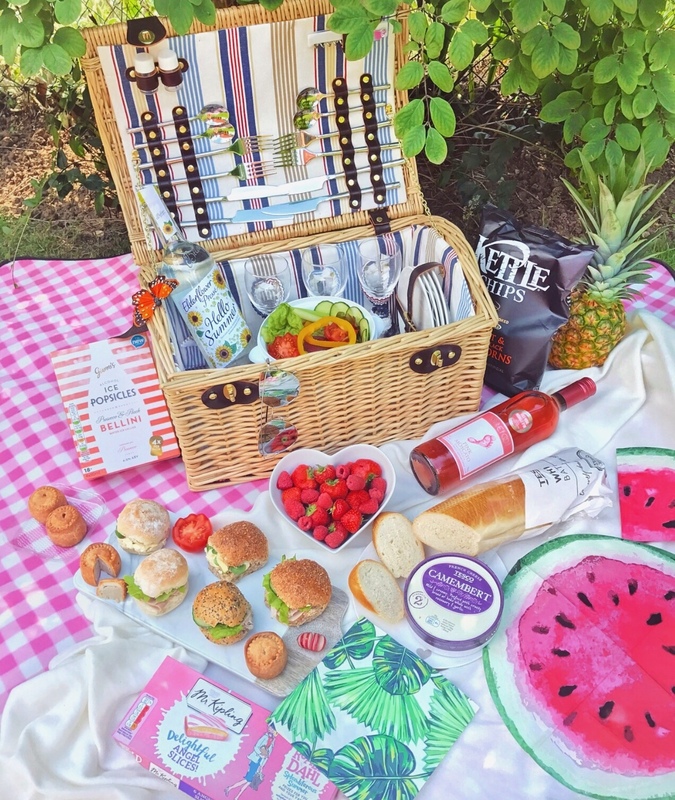 *This post is collaboration with, and sponsored by Amazon, but love of huge picnic hampers that hold four wine glasses all my own.